KE00058 is a solid phase sandwich Enzyme Linked-Immuno-Sorbent Assay (Sandwich ELISA). 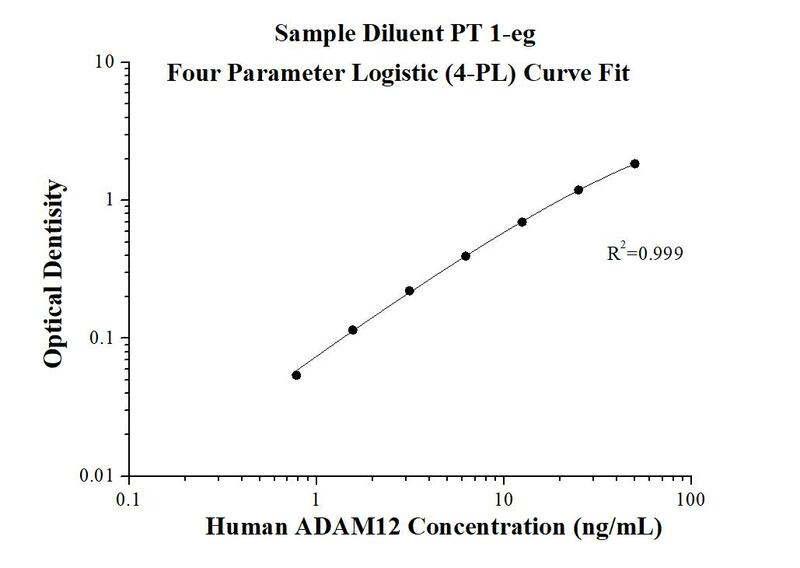 The ADAM12 ELISA kit is to be used to detect and quantify protein levels of endogenous ADAM12. The assay recognizes human ADAM12. A polyclonal antibody specific for ADAM12 has been pre-coated onto the microwells. 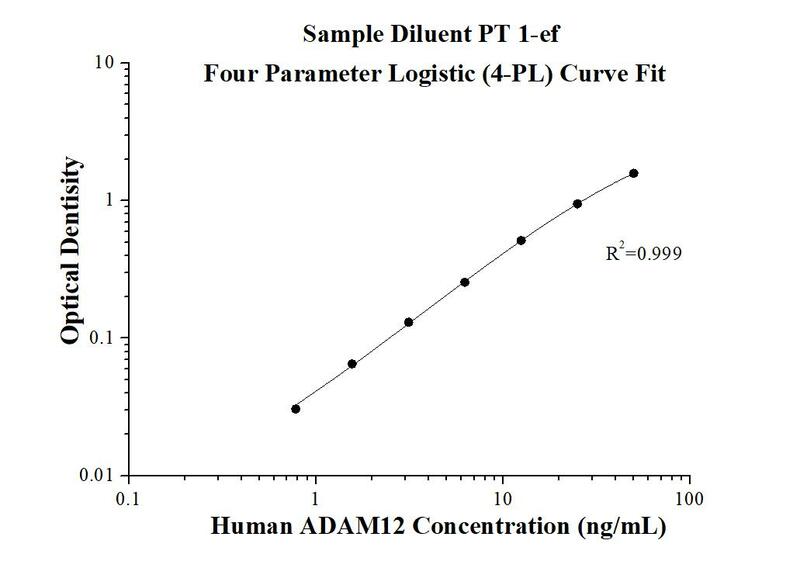 The ADAM12 protein in samples is captured by the coated antibody after incubation. Following extensive washing, a monoclonal antibody specific for ADAM12 is added to detect the captured ADAM12 protein. For signal development, horseradish peroxidase (HRP)-conjugated Anti-mouse antibody is added, followed by Tetramethyl-benzidine (TMB) reagent. Solution containing sulfuric acid is used to stop color development and the color intensity which is proportional to the quantity of bound protein is measurable at 450nm with the correction wavelength set at 630 nm. ADAM12, also named as MLTN and Meltrin-alpha, is involved in skeletal muscle regeneration, specifically at the onset of cell fusion. It is also involved in macrophage-derived giant cells (MGC) and osteoclast formation from mononuclear precursors. ADAM12 is expressed in human malignant tumors. It is involved in the regulation of growth factor activities and integrin functions, leading to promotion of cell growth and invasion, although the precise mechanisms of these are not clear at the present time. ADAM12's ability to degrade extracellular matrix components likely allows it to detach cancer cells from the basement membrane and assist them on their route to metastasis. But the protein's role not just as a biomarker of breast cancer but as a gateway to cancer cell migration is only now being understood.